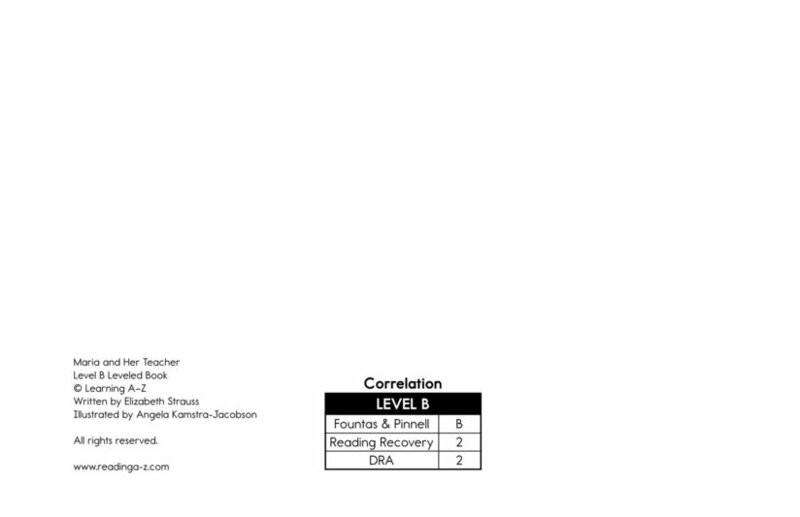 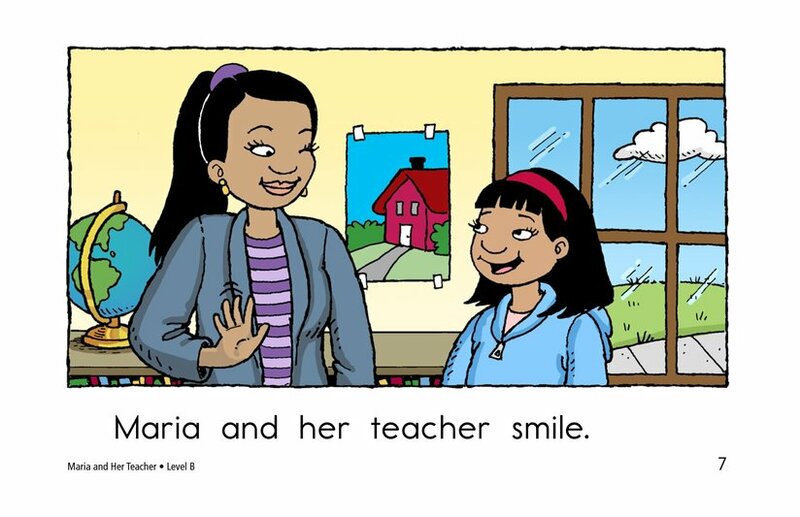 Realistic (fiction) 40 words, Level B (Grade K), Lexile BR110L. 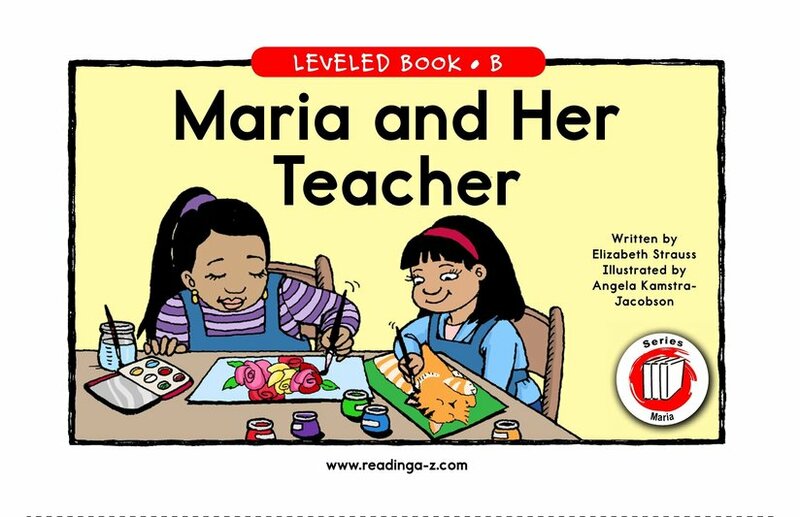 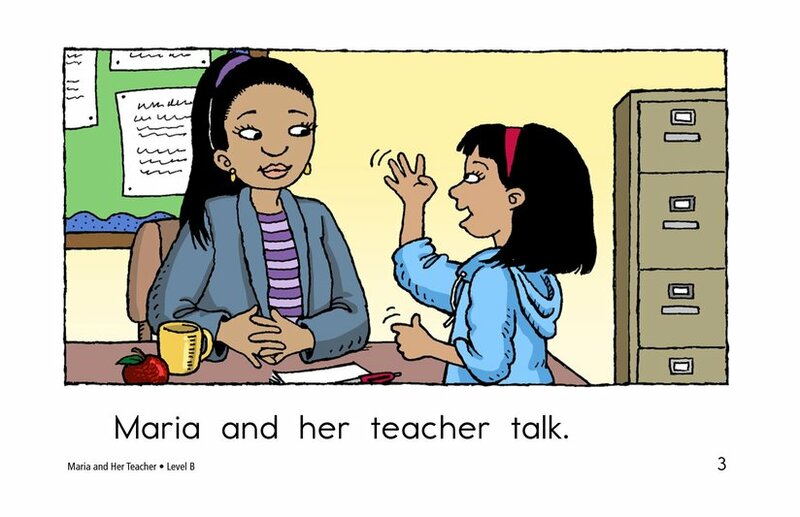 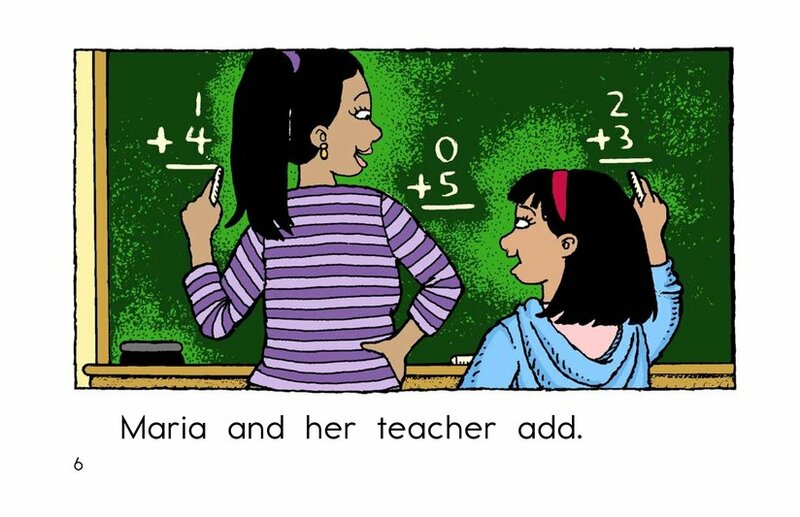 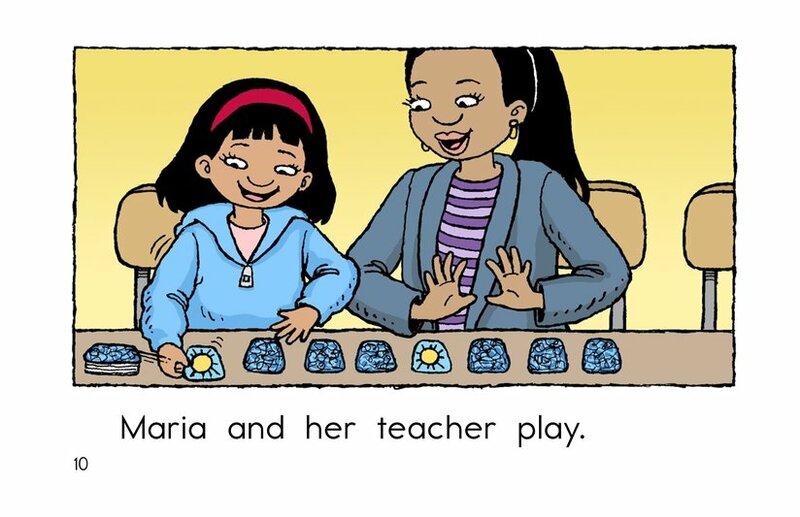 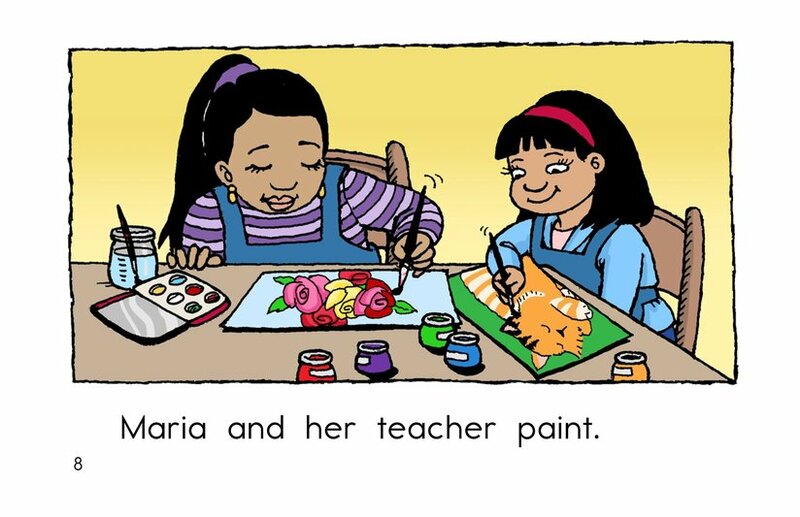 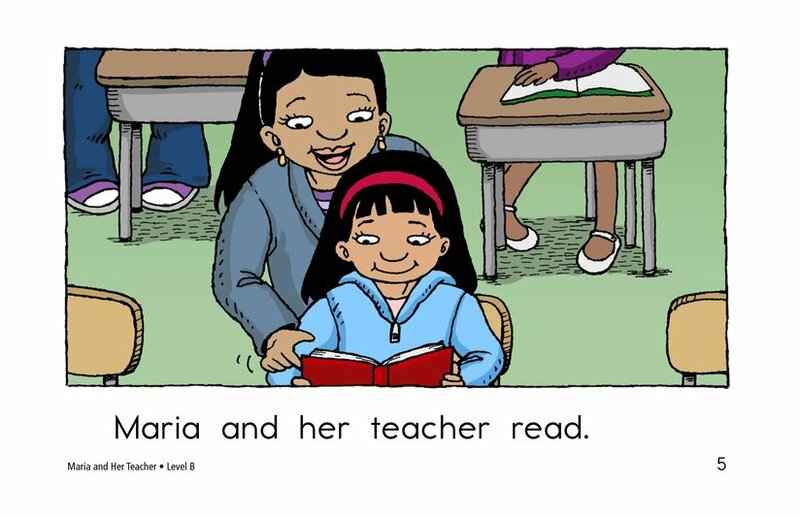 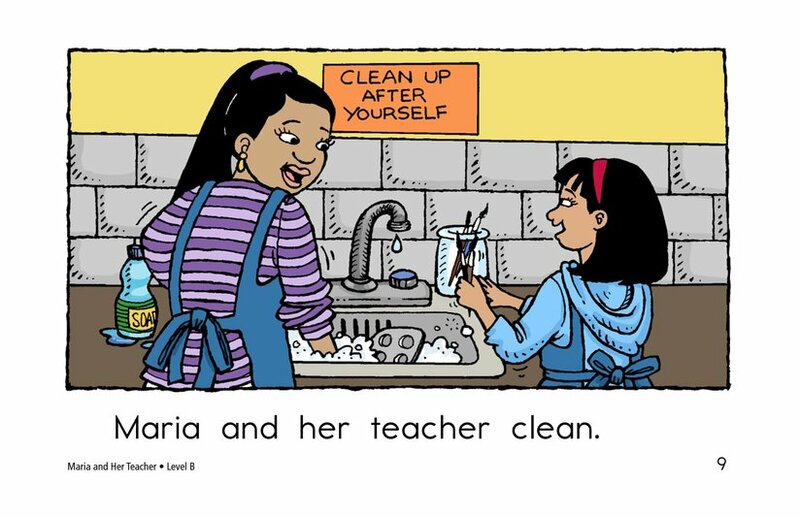 Maria and her teacher do many things together at school. 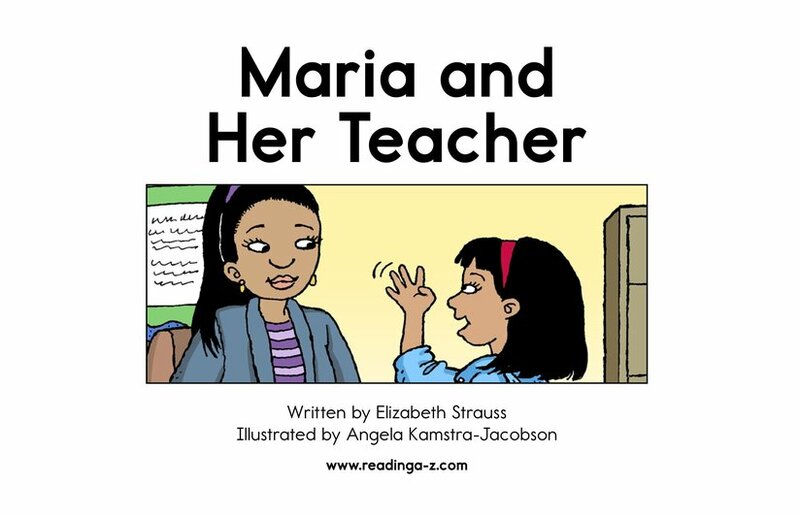 A familiar setting, repetitive text, high-frequency words, and supportive pictures make this book a perfect way to start the school year for beginning readers.